(LWI) - In south central Ethiopia, the Ethiopian Evangelical Church Mekane Yesus (EECMY) and the Lutheran World Federation (LWF) are helping young migrant returnees rebuild their lives through a project called Symbols of Hope. Meet Samira Alemu, 28, Dubai (United Arab Emirates). Amate Lafamo, 25, Beirut (Lebanon). Shaia Tamam, 27, Beirut. Radiet Tesfayo, 25, Dubai. Today, they all live in Hadiya, in the Southern Nations, Nationalities, and Peoples' Region (SNNPR), south of the capital Addis Ababa. They all run small trade businesses, like selling coffee or washing cars. But they also have a different experience in common. 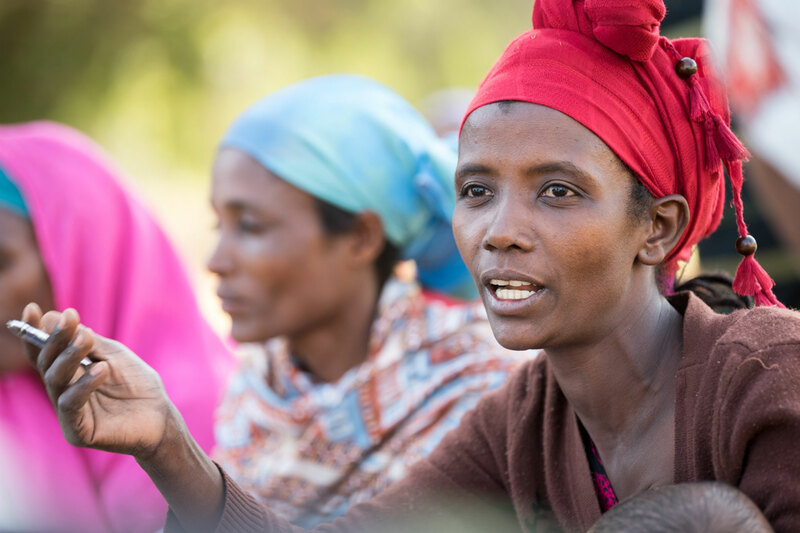 In a context where poverty can lead to desperation and the prospect of a different life can seem distant, Ethiopia has seen many young people chose to migrate, under the promise of an income big enough to share back home, and of a better, safer life. Some go to find employment in South Africa, others go to work in households in the Middle East. Yet the promises rarely turn out as proclaimed, and many have returned home traumatized, some even destitute, as they had given up whatever land they once owned to afford a plane ticket. Samira Alemu, 28, left Ethiopia for Dubai to look for a safe life and steady income, a vision that did not turn out as she had expected. The LWF member church gives support to the returnees through Symbols of Hope, aiming to help them reintegrate into the contexts they had once left behind. It is run by the EECMY Development and Social Services Commission (DASSC) in collaboration with the LWF. At the heart of the project is the goal to build awareness about the risks involved in illegal migration, and to empower young people to find alternative ways of making a living through training in business development. The project is currently in pilot-phase in two African countries: Ethiopia, and Nigeria; with other regions to follow. Alemu left home to work in Dubai in 2016. Three years later, she tells a story of unfulfilled promises, and a difficult journey back to where she is today. I lost all my belongings on the way, except one shoe. […] You think you will find a better life, but it is not what you first think. Today, Alemu is part of the Symbols of Hope self-help group Hundedo, which means ‘inclusion’, alongside 14 other women returnees. “Since I returned home, the church has been here with us. 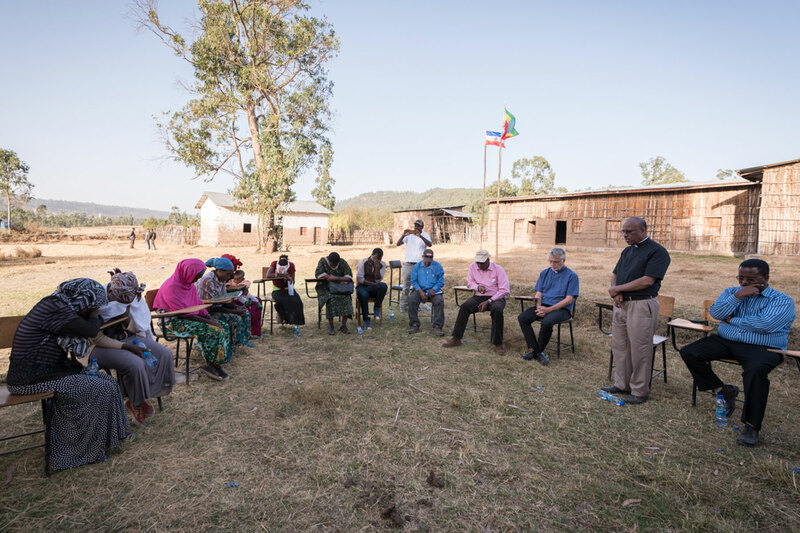 The church has prayed and cared for us,” reflects Tamam, another member of the group, who spent one and a half years working in Beirut, and returned to Ethiopia in 2016. Since I returned home, the church has been here with us. The church has prayed and cared for us. “The training we have received has helped me, so today I can provide for my six children,” Tamam says. Currently, the EEMCY supports 35 women in the project’s pilot phase, divided over three self-help groups spread across three of the church’s synods. The EECMY has a long history of holistic ministry, seeing social service and development work as an integral part of being church. “With this project, we want to help these women both to find a space for sharing among themselves, and to share their experiences with others, so we can reduce the risk of more young people sharing their fate,” says EECMY President Rev. Yonas Yigezu Dibisa. EECMY President Rev. Yonas Yigezu Dibisa leads a closing word of prayer after the day’s meeting. Symbols of Hope is an LWF program, focusing on empowering and building capacity in the LWF member churches to better respond to issues related to irregular migration.